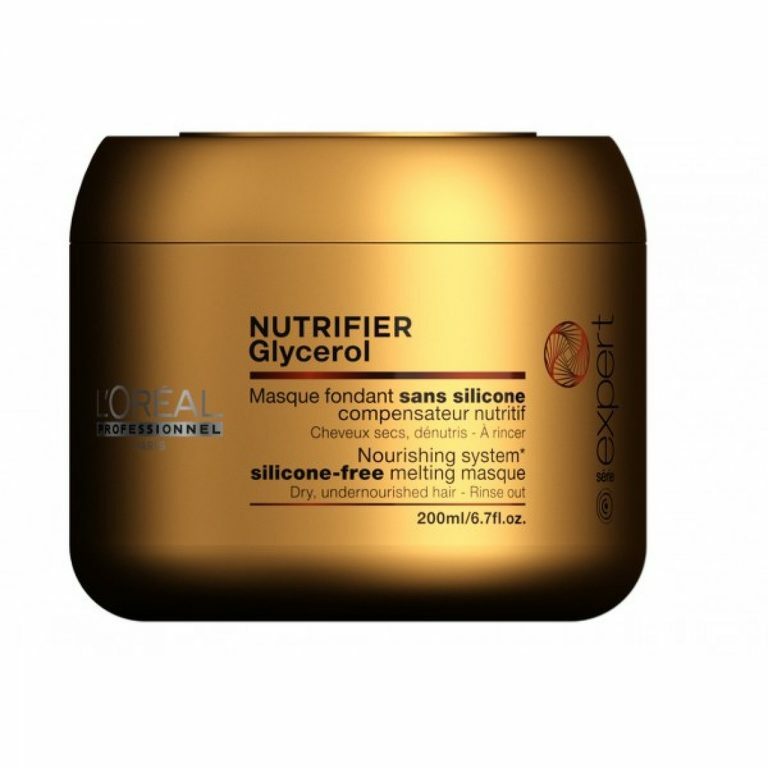 L’Oréal Professionnel presents Série Expert Nutrifier Masque, a deep conditioning treatment that works to restore optimum moisture levels to dry hair. Expertly formulated with a professional concentration of Glycerol, the mask seeks to mimic hair’s natural nourishing abilities by pulling in moisture from the air and then sealing it into the follicle. Free from silicone, the addition of Coconut Oil works to soften and smooth and it’s rich in essential fatty acids that prevent breakage and split ends. Intensely nourished, hair is instantly transformed: softer, more supple, shinier and easier to style. Directions: Apply evenly to cleansed towel dried hair, leave on for 3-5 minutes and rinse out. Buy Serie Expert Nutrifier Masque 200ml on-line today at Riah Hair.